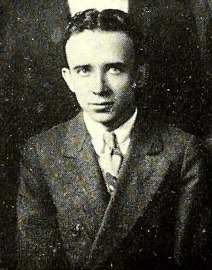 Harold Flood was born in Eddy, OK, in 1905 and graduated from OSU in 1928. He worked for various firms before setting up shop in Ardmore with engineer Rex Collins in 1944, a partnership that endured throughout Flood’s long career. He designed many MCM buildings in his hometown of Ardmore but also well beyond in small towns scattered throughout Oklahoma and Texas. Harold was also very active in the AIA, serving as vice president of the Central Oklahoma chapter in 1966-1967 and president in 1967-1968. He died in Ardmore in 1983.